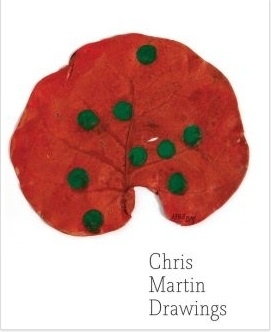 One of America’s finest abstract painters, Chris Martin (born 1954) explores the fertile areas between sophisticated formalism and the visionary joy of outsider art, making abstract painting look enviably effortless. For this massive volume, Martin and Dan Nadel have assembled a massive compendium of Martin’s drawings from the past 30 years, presenting them chronologically so the reader–viewer can follow the artist’s continual pursuit and discovery of new forms--from sound waves to mushrooms to Tantric arches to the iconic visages of James Brown and Sigmar Polke. For Martin, drawing is an end in itself that also often leads to themes he later reprises and explores in his painting. Taking its design inspiration from the artist’s books of Dieter Roth, Drawings acts as a flipbook of discovery, one that charts Martin’s artistic development over the past three decades.